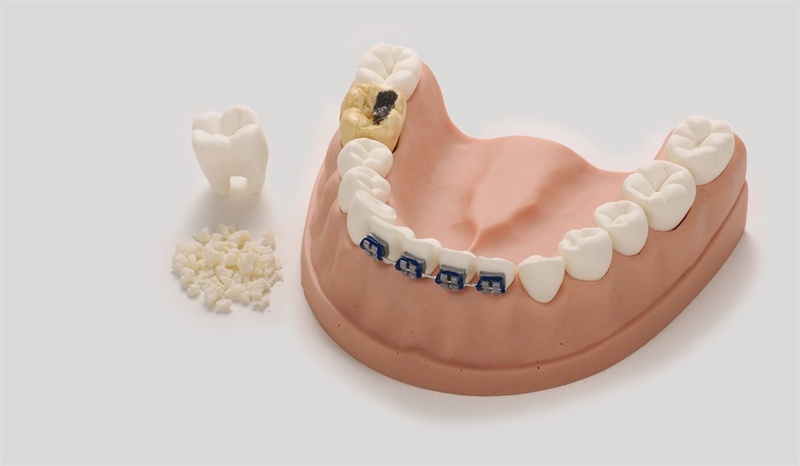 Features interchangeable healthy, cavity-free molar and decayed, cavity-filled molar to show the results of failing to keep your teeth clean. 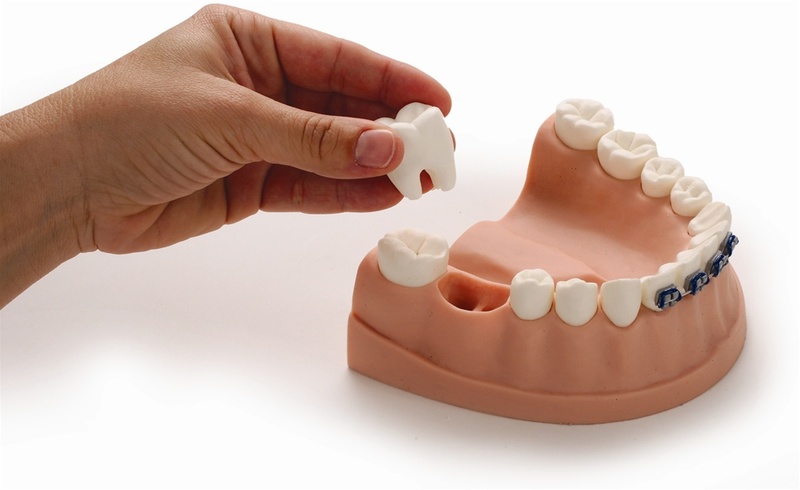 Also includes a bag of simulated plaque that can be placed between the teeth and removed with dental floss. Comes with a carrying case. Model is 6" x 2" x 5"